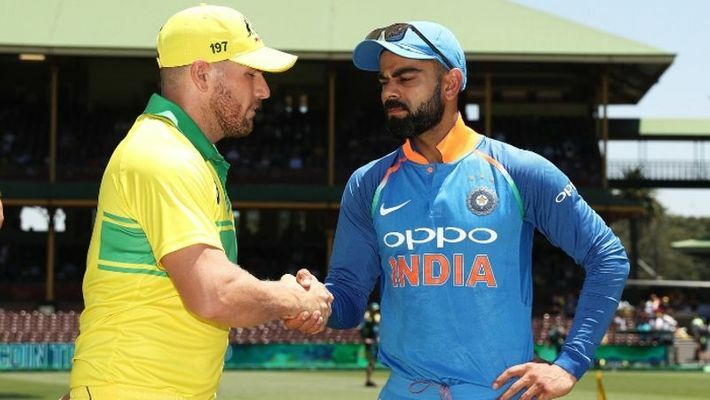 New Delhi: Australia will start their limited-overs tour of India in Visakhapatnam, which will now host the first T20I on February 24 instead of Bengaluru after Karnataka State Cricket Association (KSCA) requested for a change of date due to security concerns. Bengaluru will host the second T20I on February 27 instead of Visakhapatnam after KSCA wrote to the BCCI about its inability to host the inaugural match due to security concerns. The date and venue swap was okayed by Committee of Administrators (COA) members Vinod Rai and Diana Edulji. On February 24, Aero India Show will be held in Bengaluru and Prime Minister Narendra Modi will be attending the event, the reason why the police authorities informed KSCA about their inability to provide security. KSCA wrote to BCCI acting secretary Amitabh Choudhary, who sent it to the COA for approval. "It was a genuine reason for which KSCA can't hold the match on the specified date (February 24). The acting secretary had forwarded me the request for swapping of dates with the Visakhapatnam T20I and I have sent my approval," COA chief Rai told PTI. Australia will be playing two T20Is and 5 ODIs during their three-week tour. The five ODIs will be held in Hyderabad (March 2), Nagpur (March 5), Ranchi (March 8), Mohali (March 10) and New Delhi (March 13).